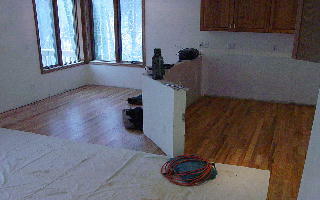 We are changing the feel of the interior of this existing home near Suttons Bay. New wood flooring, book shelves and a fireplace are a few of the items on the list of to-do's. The new countertops and the change in wall color will convert this home into a completely different look. Check back for more in the near future. click on the smaller pictures to view a larger picture.